Get stereo vintage type tremolo or sweeping filter effect for guitar, bass and keyboard with the EBS TremoLo pedal. 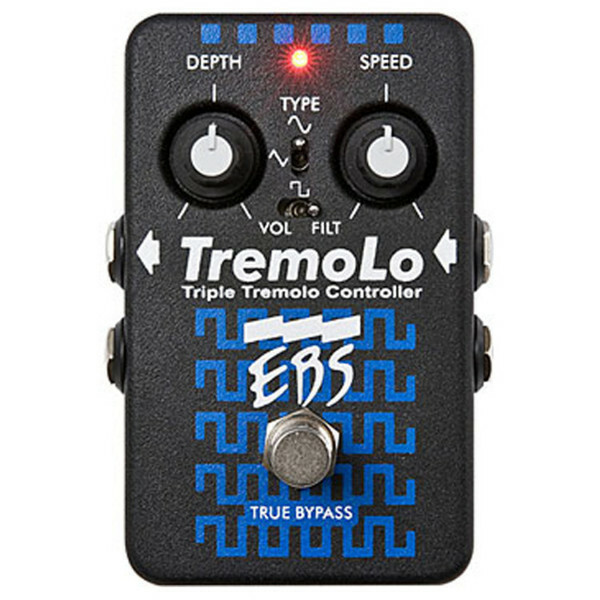 The EBS TremoLo pedal offers various choices: The sweep character can be set to a choice of three different waveforms; sine, square and sawtooth waveforms and offers volume of filter type of effect. This pedal operates in mono or true stereo with auto panning of the tremolo effect. Furthermore, it uses true bypass techniques. Click on the link below for MP3 Samples by Anders Molin and Colin Edwin for EBS Sweden AB.